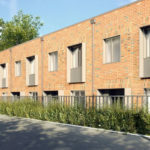 In the face of rising shortages in council homes across the UK, Atkins, a member of the SNC-Lavalin Group, has unveiled MetroHome, a new solution to help tackle the country’s social housing crisis. By working in partnership with local authorities, MetroHome will help councils use their land and Modern Methods of Construction (MMC) for the development of quality, affordable council homes. The solution has the future potential to deliver thousands of high quality council homes per year for local authorities, via a commercial model that allows them to retain the freehold of their land. It offers a cost-efficient, fast, and flexible housing solution where properties will be built to national planning standards, creating modern family homes. The launch of MetroHome follows the call from a cross-party housing commission for three million new council homes to be built in the next 20 years; a dramatic increase on the current level of just over 6,000 homes a year. Philip Hoare, UK & Europe Chief Executive officer of SNC-Lavalin’s Atkins business, commented: “The UK’s housing crisis has had a detrimental impact on society for too long. If we want to get close to narrowing the gap between supply and demand the market needs disruption, and offsite constructed housing offers a great opportunity to bring a fresh approach to this decades-old housing shortage. MetroHome has brought together experts from across the housing sector to develop an offsite housing solution, which will enable properties to be constructed in as little as 10 weeks and for 30% less cost than traditional industry new-build methods. The solution has been designed to enable local authorities to utilise small, brownfield sites previously deemed too expensive or difficult to build on.